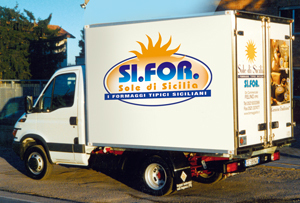 Distribution and logistics are the strengths of an up-to-date and innovative company such as Sifor. At its new, modern warehouse in the Province of Parma, products are transferred twice a week and stocked in controlled-temperature rooms. With this system, the company guarantees the freshness of the products and timely delivery of consignments to supermarkets, large-scale retailers and specialist wholesalers, both in Italy and across the world (North America, France, Germany, Belgium and Switzerland).